If you are searching for a food that is both tasty and healthy at the same time, then tahini is the best choice for you. It is an ingredient that gives you all the goodness in one single package. It is delicious, and also has loads of benefits for your skin health. Once you try it, you are sure to love it. Tahini is not very well known all over the world. It I made from ground sesame seeds. This ingredient is totally versatile and goes well with savory and sweet dishes. There are two types of tahini one could find – hulled and unhulled. Unhulled tahini is more popular than the other one. It is also the best as it is made from sesame seeds that are whole. As such, the nutritional value of the seeds remains intact and you get it when you consume it. Tahini contains 4 most important nutrients – selenium, zinc, iron, and copper. All these are known to provide the necessary support to the human immune system. Copper and iron are included in the enzymes that help produce white blood cells in the body and also offer support to the immune system. Zinc plays an important role in developing white blood cells and also aids them in their major function of destroying the germs that attack the body. Selenium helps the enzymes perform their functions. This includes producing antibodies and antioxidants. It also helps the immune system function well. Just 1 tablespoon of tahini provides 9 to 12 per cent of the required daily intake of selenium, iron, and zinc. Tahini contains high amounts of omega 3 fatty acids and omega 6 fatty acids. Even though sesame has high fat content, 90 per cent of this is good fat. One tablespoon of tahini paste provides around 85 calories. 65 of thee calories are essential fats that are beneficial to the body. This paste is delicious, and also rich in Vitamin B1, magnesium, iron, manganese, copper, and phosphorus. 3 grams of proteins and 1 gram of dietary fiber is also contained in a tablespoon of tahini. Tahini is rich in all essential vitamins and other nutrients. This makes it a food with excellent health benefits. Researchers have proven that omega 3 fatty acids not only have the capability to lower the level of cholesterol in the body, but they also protect the heart and help treat any cardiovascular disease that is caused due to inflammation. One teaspoon of tahini contains 8 grams of fat. However, this is not a cause for concern as 80 per cent of this fat is unsaturated and does not affect the functioning or health of the heart in any adverse manner. The exact amount of omega 3 acid cannot be calculated. Anyways, 1 ounce of 4 tablespoons of sesame seeds is suggested to contain around 0.1 grams of omega 3 fatty acid content. This comes to around 6 to 9 per cent of the daily recommended intake of the nutrient. Copper is one among the large number of important minerals you get from tahini. Copper is known for its capability to reduce swelling and also offer relief from pain. The anti inflammatory properties of this mineral prove to be effective in treating the symptoms of rheumatoid arthritis. In asthma patients, it helps by expanding the airways. The enzymes contained in the immune system use copper in order to make full use of their antioxidant properties. Phytonutrients are contained in sesame paste. They help prevent the damage caused to liver by oxidation. Magnesium in tahini benefits asthmatic patients. This is due to the fact that it contains magnesium, which relieves the symptoms of asthma. 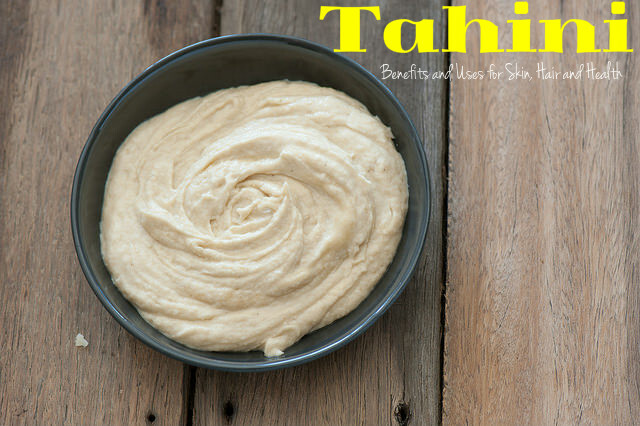 As you read earlier, tahini is richly packed with healthy omega 3 fatty acid and omega 6 fatty acids. These fatty acids are known to boost the development of the nervous tissues found in the body. This, in turn, improves the health of the brain and makes it stronger. The fatty acids protect the brain from Alzheimer’s disease as well, as it has the capability to slow down the development of the disease. When omega 3 is consumed, memory and thinking are enhanced. Manganese is also well known to enhance the brain and nerve functions. Mix it well in to the dishes that are stir fried. Mix tahini with chickpeas and a small amount of garlic to make a lip smacking hummus. Blend tahini with olive oil, apple cider vinegar, and fresh turmeric for a delicious salad dressing that anyone would love. Mash some avocados and mix some tahini in to it for a dish that is super healthy. Start your day in a healthy way by just spreading some tahini on your breakfast toast. Use tahini to make healthy sweet treats like cacao balls. Use tahini as a condiment for burgers and other meats. With tahini, you do not have to worry if you and your family are getting the necessary nutrients in the correct amounts. All you need to do is add it to your daily diet. A good thing is that it tastes really good and amazing, and children will not complain or try to avoid it. Add it to desserts and treats to make sure even the little ones get the vitamins, minerals, and other nutrients to help them develop and grow. Tahini can be mixed with all types of food, and so you need not worry about the cuisine. It is simple to make and highly nutritious. Make it a part of your diet and enjoy all benefits of this super food.